It's time to talk about the topic we all try to avoid - the fall. For some this happens within the first hour of riding, for others it may not happen until month 5 or 6. The fact of the matter is that sooner or later we all fall. It's how we learn to stay on. I always tell my kids, it takes 100 falls before you're considered a great rider, so most of them count backwards from one hundred. Thankfully this gives them plenty of time before they become invincible. There's always a risk when riding a horse, the trick is to know when your in real danger or when your nerves are getting the best of you. Horses are large and sometimes unpredictable but under the right instruction there is no danger. Most riding facilities will ensure they have "bombproof" horses, meaning they are quiet and easy to control. Once learning all the skills required to ride a horse, it is then safe to move onto a horse considered slightly more "green", meaning it has received less training and is slightly more unpredictable. In the horse world one of the greatest struggles is to watch a "green" rider on a "green" horse. This can be a disaster waiting to happen or simply just the wrong fit. A rider will sometimes not have the experience needed or the knowledge gained to be riding a horse that is still learning and impressionable. Not all horses are well behaved, but in the right hands and with the patience and consistency needed, they are happy to listen and obey. Horses are meant to work as one, to become a team and to co-exist. This is a fact that is commonly forgotten by inexperienced trainers and riders and can result in harmful ways and dangerous situations. George Morris is an Olympic rider, trainer and in the past several years a host of clinics to riders of all ages. He is a legend in this sport and apart from having a wealth of knowledge he is known for his blunt comments and witty nature. His teaching follows a lot of principles that I value. To some they are harsh, but the underlying meaning is to realize your own faults before assessing the horses. A lot of weakness comes from the rider first and is due to a lack of invested discipline and motivation. I will leave you with some of my favourite quotes from Morris himself. "Is that clapping? I hope your clapping for the horse because the rider doesn't deserve it." "The best exercise for your riding? Put down your fork." "You either go to the hospital or get back on." "Distances are like men. Never take the first one you see, there will always be another one." 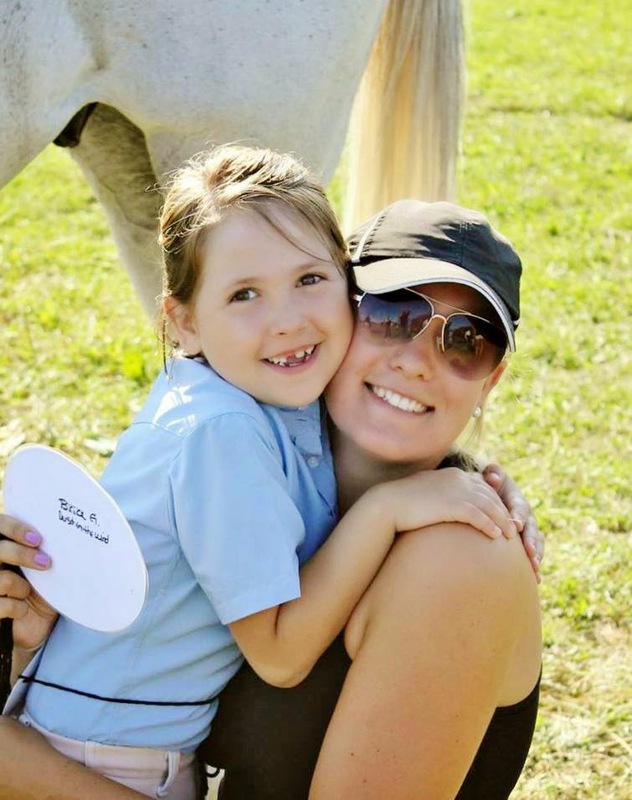 I recently read a great article on the 10 reasons to buy your daughter a horse. Something that I often vouch to parents for but never really gave it much more thought than that. Horses aren’t cheap and neither is the lifestyle – most of us have big dreams but have a hard time affording them. For those lucky ones with the parents to fund their expensive tastes, the benefits are huge. I don’t mean to say that every wealthy parent should buy their kid a pony, but if you’re looking for a way to teach them responsibility, the value of money and compassion, then horses are the way to go. Then there’s my story. I didn’t own my first horse until the age of 21 and probably picked the worst time to do so, right as I entered my third year of University. I was a full time student, had a part time job and now owned a horse. Easy to say my social life revolved around my new four-legged friend. 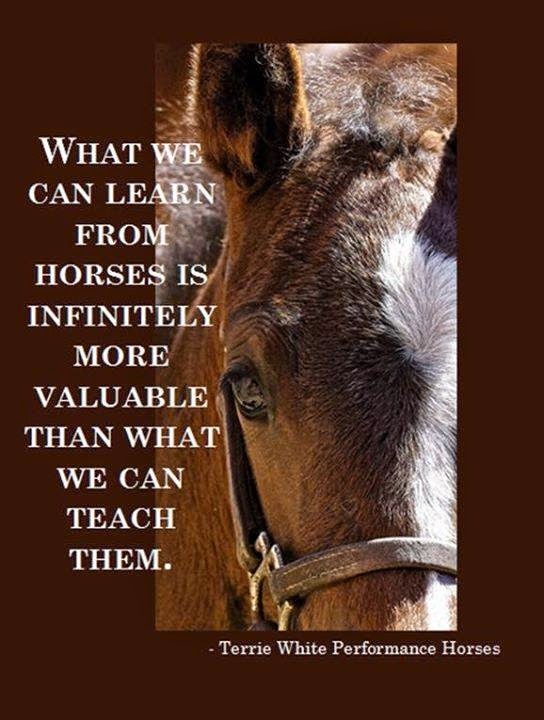 Owning a horse and understanding the responsibility that comes with it is an amazing life lesson. They are a big responsibility and require 24/7 care. Most farms will provide that care along with your monthly boarding fee, ranging anywhere from 400-1000 dollars a month, depending on the facility. This is not to say that visiting your horse once a week is acceptable as a horse owner. 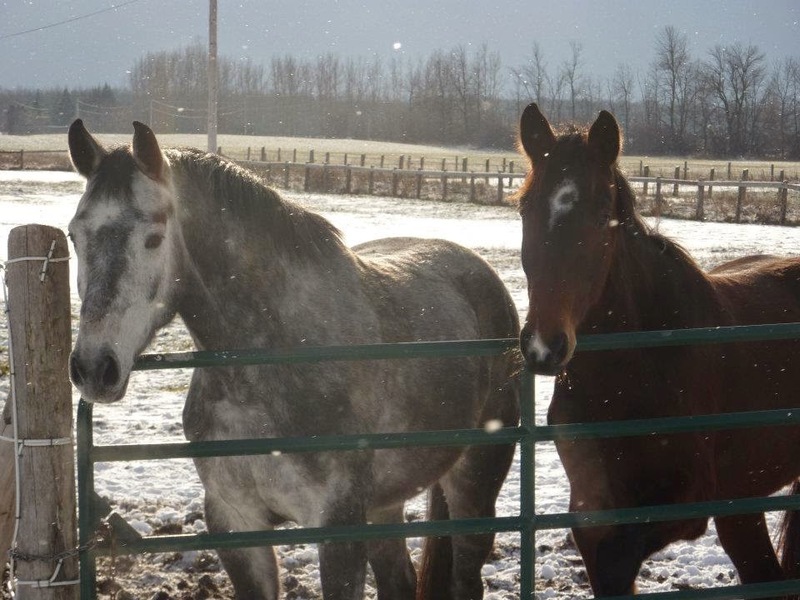 We as humans make the decision to stable our horses, to keep them clean, to keep them warm and to ensure their safety – especially if they are show horses. By making this decision we take on the responsibility of ensuring they are exercised and groomed daily. These are things that horses would naturally do in the wild but are either not able to, or only able to for a certain number of hours a day, when we stable them. The most common misconception of new horse owners is that it is ok to miss a few days at the barn, because they are taken care of. Most boarding fees only include stall cleaning, turnout, and feeding. The rest is up to the owner. 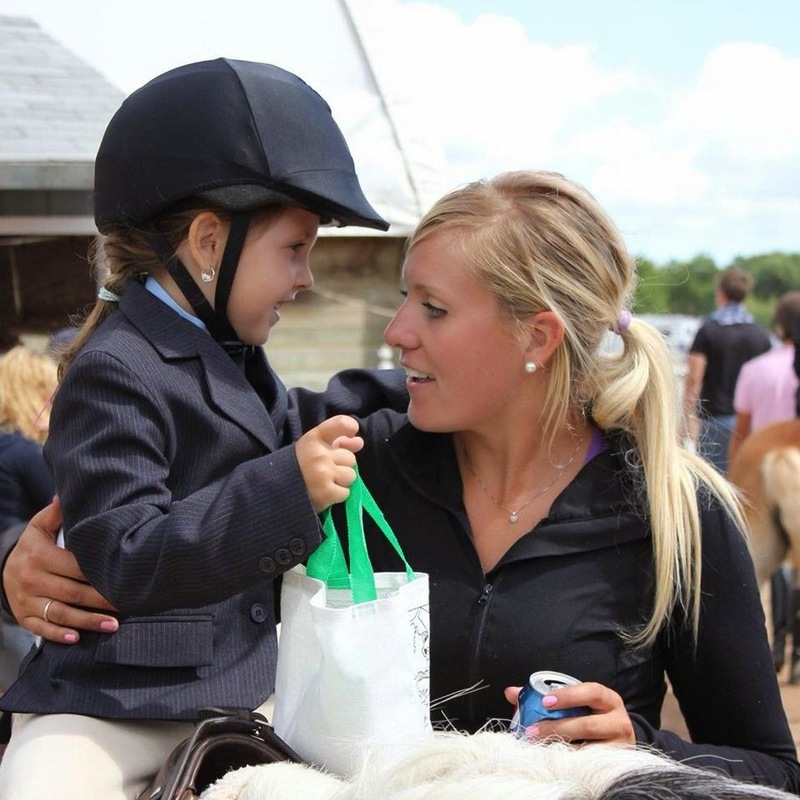 When deciding to buy your child’s first horse or maybe your own four legged partner, make sure that you are ready for what it entails and understand the care that is required from you. Owning a horse is not a part-time responsibility. 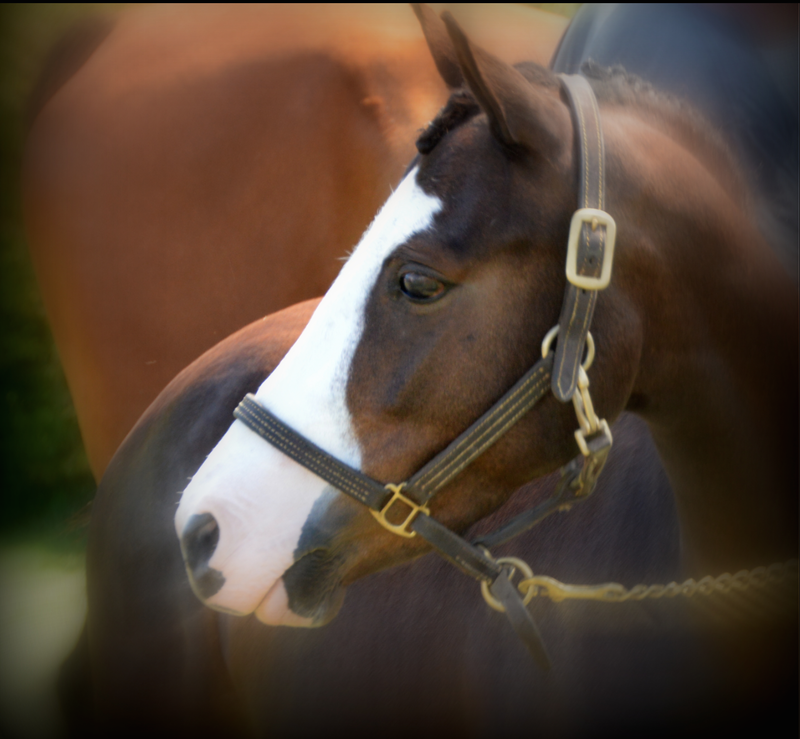 For more tips and things to remember, check out this article on the ten things you need to know before buying a horse. In my years of coaching the one thing I’ve learnt is you need to know how to wear many different hats. No, I don’t mean the toque versus the ball cap. Horses are in a way like people; every one is different and every one has their own personality. 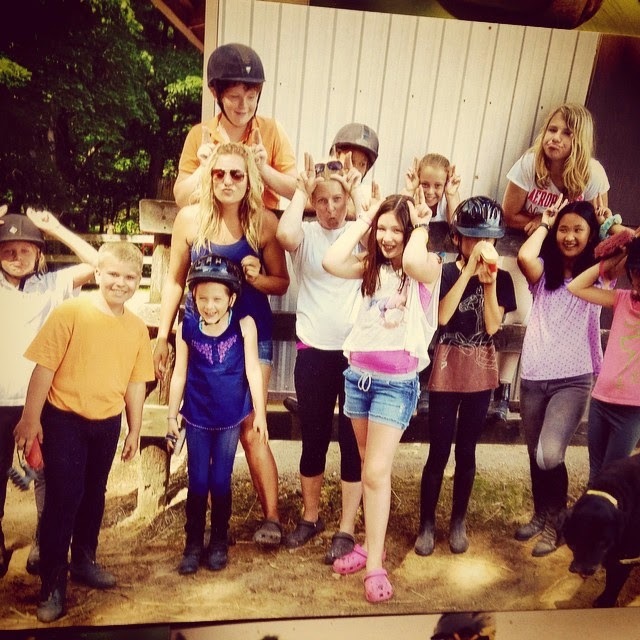 Just like people they all have good days and bad days and sometimes the way that we have to coach the rider will depend heavily on what kind of mood the horse is in – hence the need to be able to wear many hats. My opinion of what good coaching is has changed as the years have gone by. It used to be to teach each rider to achieve true greatness and reach his or her fullest potential. The problem with this became, when do you pass the point of motivation and enter into the realm of pushing them too far? It’s an easy line to cross. Today, through the opportunity of being able to coach many riders of all ages and levels I’ve changed my mantra – to teach the passion of riding and have riders discover their niche all on their own, as long as they enjoy it, that’s all that matters. Each and every rider, just like any athlete, has a different goal. Some ride to stay fit, some ride for recreation, some ride to compete, some have goals of making it to the Olympics. At the end of the day there’s one thing that makes us all the same and that’s the love for these magnificent animals. The greatest gift you can give your coach is the gift of gratitude and appreciation. If your good at what you do and you put 110% into teaching every student, they will appreciate it and they will tell you. Nothing puts a bigger smile in my heart than the words from a parent saying how much their daughter or son talks about their weekly lesson, and counts down the days till they’re back at the barn again to ride. 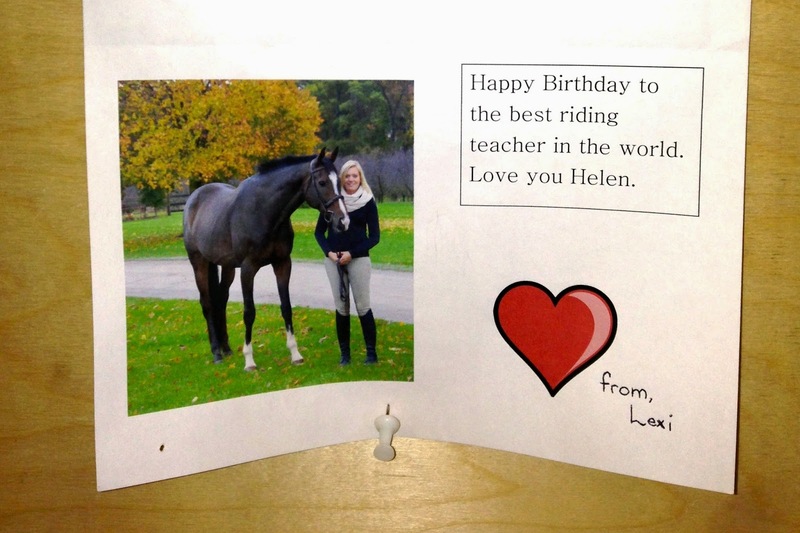 Knowing that I play a part in their love for horses and riding makes my everyday better than the last. Proud moments to last a lifetime.. The deep freeze. For all Canadians this is an annual occurrence. In temperatures of -20 it’s hard to find any motivation to make it to the barn, let alone tack up and ride. If skiers and snowboarders can brave the cold during the winter months then why can’t us riders. All it takes is a little common sense and preparation. There’s no need to hibernate. 1. Ice can be deadly. 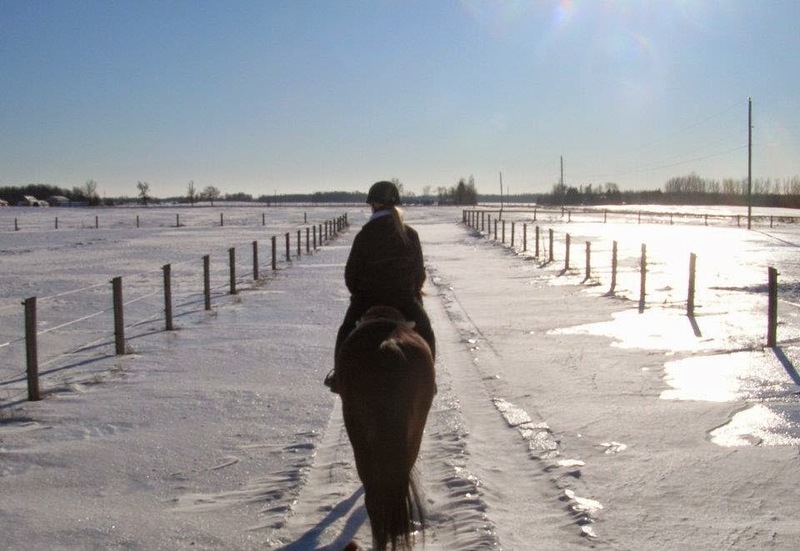 If the pathways from the barn to the fields for turnout are slick with no snow cover, it is safer to give the horses a workout in the arena or turn them loose in the arena than to turn them outside. 2. Stay warm. Layers are key. Looking like a marshmallow in Canadian winters is considered fashionable. A pair of leggings under riding pants and wool socks will be you lifesaver. Wool is the best insulator – it’s not how thick those socks are but the content. 3. Check your horse’s legs. Cold and horses = Wild! 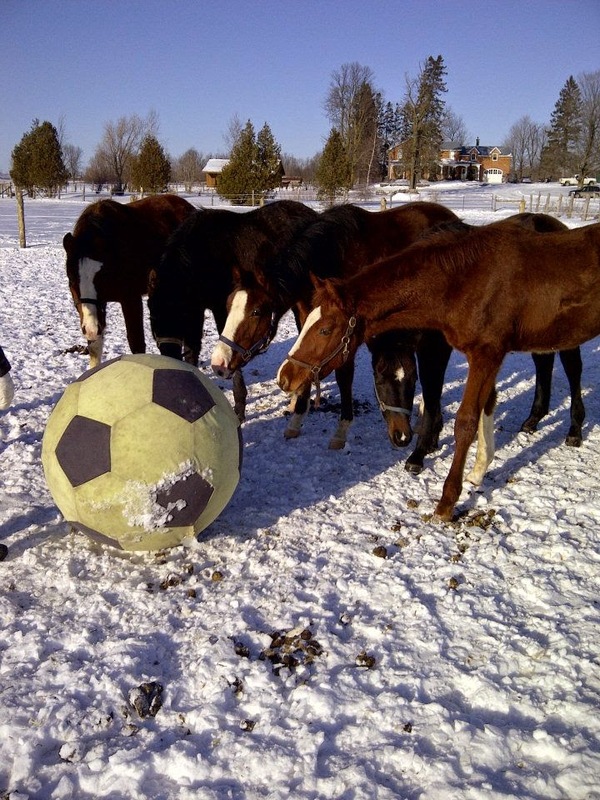 Add a little snow and its hours of galloping fun. Accidents happen. It is important to check their legs for any heat and swelling before starting your ride. 4. Your horse needs to be warm too. When riding its important to put a fitted quarter sheet made of wool or fleece on your horses back around the saddle. The general rule is: when below zero - throw that sheet on. This will help warm up their muscles and stay warm during the ride. 5. Post ride it is important to make sure you don’t let the horse cool down too quickly. They will need only half the time needed after a summer workout to cool down and should return back to the warmth of the barn as soon as possible. 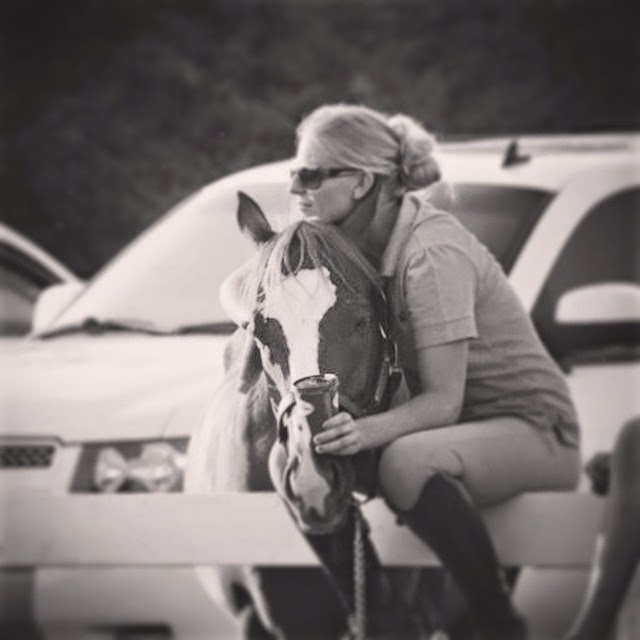 These things to remember are all very practical – what us riders really go through is perfectly explained in this article by horse junkies called the Five Stages of Grief. It’s hilarious but true. Equestrians need to have the concentration and ability to judge distance like a golfer, the strength and stamina of a hockey player, and the artistic flow and ability to make a hard thing look easy and elegant like a ballerina. The video below shows some of the raw immense strength horses have. Being an equestrian is an adrenaline rush – no matter what discipline you are doing. There are no words to explain the feeling when everything clicks, and the horse understands what you are asking, and obeys. You suddenly have the trust of this graceful animal ten times your size and the ability to move as one. People may think this is an individual sport but that is far from true. Not only are we a team in riders who compete to represent our farm, but also as a team with the four-legged 1200 pounds of power that carries us. There is a saying, which yes, is over used, but never the less true. “In riding a horse we borrow freedom”. Unless you’re a rider, there is no way of fully understanding what this means. I can have the worst day, whether that’s being angry, hurt, stressed or restless, but when I reach the saddle and climb 16 hands high, my mind goes blank. I pick up the reigns and now my focus is this 1200 pounds of animal beneath me. What kind of mood is he in? Is he listening? Put my leg on, take some contact with the bit in his mouth, and off we go. No more thoughts of anger or stress, but just pure focus on what I’m asking him to do and how is he responding. If you want to be successful in this industry, take every opportunity you have to learn. The great thing is – this industry is full of opinionated people. Everyone has a different experience and a different story to tell. When it comes to horses and the equine lifestyle you will never know all. There is always something to learn. Riding is not just a summer sport – at least not if you are a true equestrian. As a riding coach, every November I have those few students and clients who disappear into hibernation and announce they will see us again in the spring. For the rest of us – the horses don’t hibernate so neither do we. Most of our horses are show horses so they need to be kept in excellent shape and good condition 365 days a year. To do this we have an indoor riding arena, similar to a hockey arena, with dirt and sand instead of ice. This past weekend, despite snowstorms and freezing temperatures, we prepped the horses, loaded up the trailers and headed out to show at an indoor facility roughly an hour away. 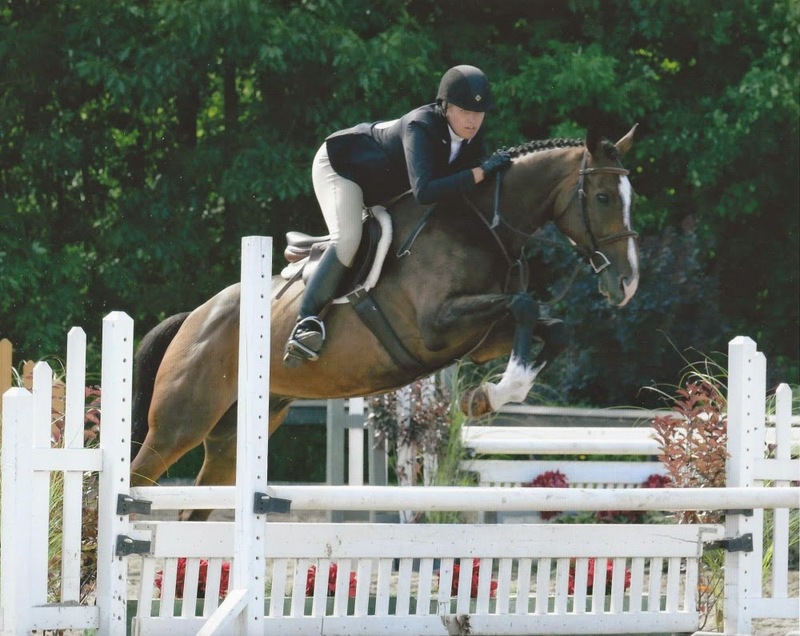 At this time of year both our riders and horses are preparing for the summer show circuit – and getting off property to show with other riders in Ontario is key to establishing how your training is going and what needs to be worked on. Show days are long and patience is key. In brutal cold winter weather – everyone starts questioning - why do we love this sport? 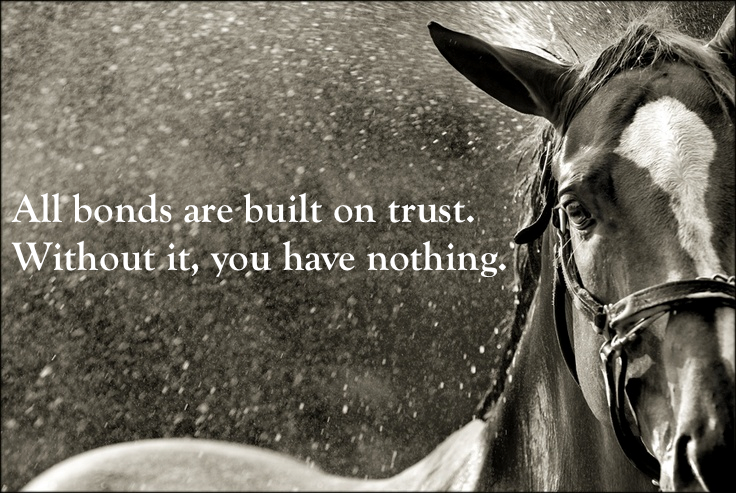 Truth is we’re all nuts – or so it may seem to those people who don’t share the same love of horses. For horse people, this is just another step towards our show season and achieving greatness. It takes work and long hours. The belief some people have is that the horse does all the work – far from the truth. A horse can naturally run and jump, but put a rider on its back and that’s a game changer. The two must communicate – they must be in unison. The timing of each instruction given by the rider has to be correct and understood by the horse in order for the pair to successfully make it around a jumping course and look graceful in the flat class. This can't be achieved overnight and takes time, hard work and a lot of practice. The great thing about being an equestrian is being able to be myself - an opinionated but forever challenged young lady. Lady like qualities are a big part of what the Hunter’s are all about. Let me start by first explaining a little bit more about this Hunter nonsense I speak so highly of. There once was a time when people used horses primarily for labour and transportation. 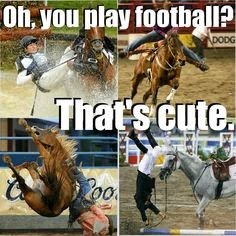 Today, horses are seen as a sport, a hobby and a way of life. To me, it’s a sport and a passion. 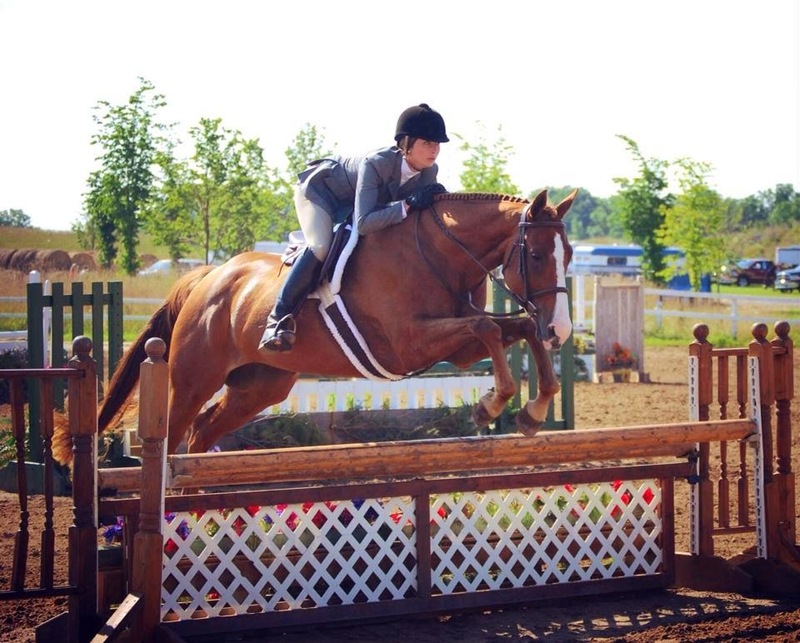 The hunters is a style of riding based upon your equitation, (the riders position while riding), and the horses conformation, (the way the horse is put together). In horses for dummies, a horse specifically made to be a hunter, will be one who can cover ground with a long graceful stride, a long and low head and neck set, (their head, neck and back are all level with one another), and an easy-going temperament. 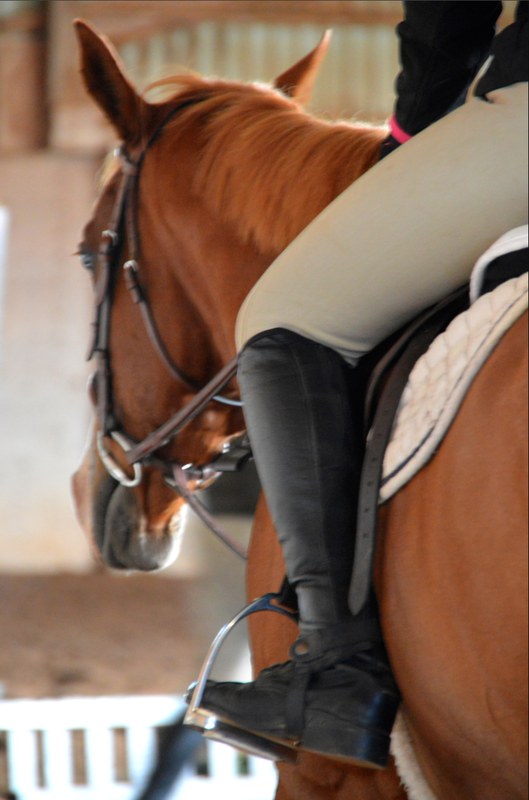 As for the rider, we are expected to make our job look easy while maintaining excellent posture. This means, sit up straight, shoulders back, heels down, slight bend at our hip and quiet hands, some of which sounds vaguely familiar from childhood and moms instructions of how to sit while at the dinner table. Now, if you are a competitive rider, like myself, this involves demonstrating these qualities while performing in group classes, demonstrating different techniques instructed by the judge such as walk, trot and canter, as well as doing individual courses made up of a number of jumps set at designated heights. Each of the jumps is designed to be “natural” looking in nature using colours such as white, greens and browns and can reach up to 4ft in height and a few feet wide. There is something about polishing your boots, putting on your favourite show outfit currently in style, (of which changes annually), and spending hours grooming your horse until he sparkles and shines that drives a girl wild. We hunters are constantly craving the newest trend, the latest style and the best products. 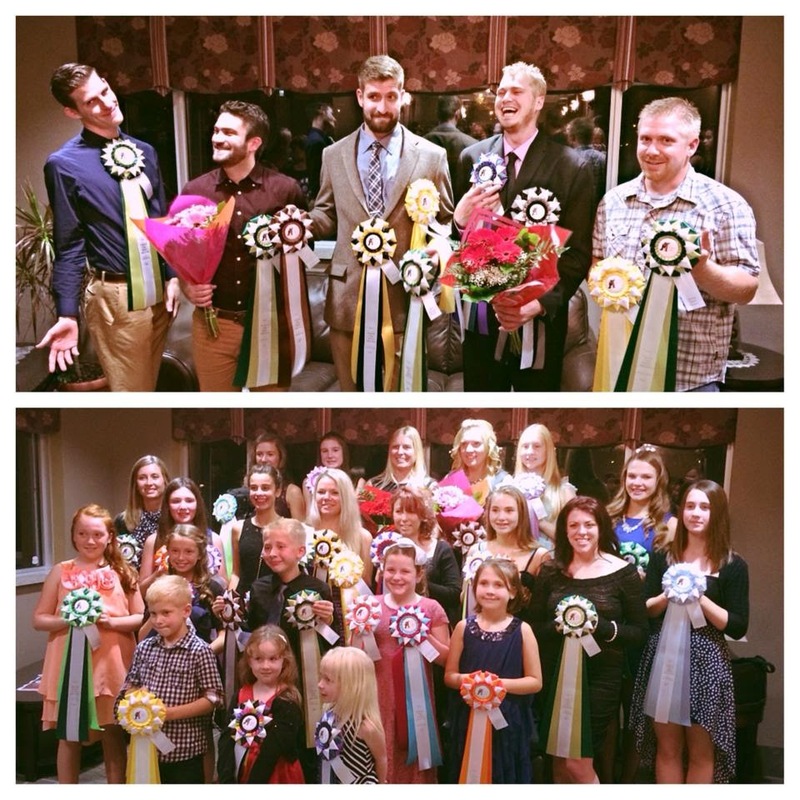 We strive to look our best and represent our barn, from which we are a part of. When I step into the show ring, all eyes are on me and my horse. First impressions are everything - and the horse knows it. I want to show him off - make him feel special. Im overcome with pride and at that moment I want to know that we both look and feel at our finest. 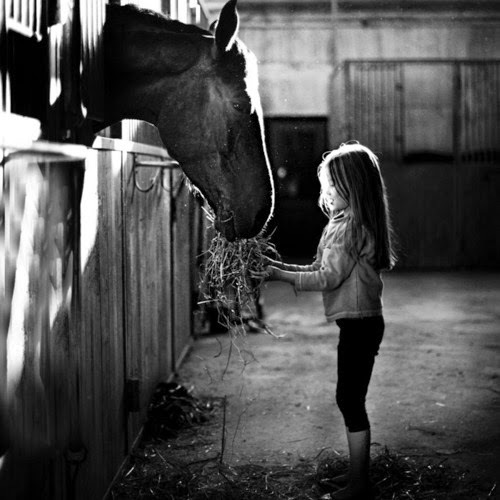 Horses will pick up on your every emotion and feel that sense of joy. Without having to say a word, my confidence will show through him in the way he proudly struts into the ring and takes over the crowd. "Whoever said diamonds are a girls best friend, never met a rider"
Did someone say HEALTHY CHOCOLATE FUDGE? HB. Ethereal theme. Powered by Blogger.